Chances are you know someone who uses a fingerprint to unlock his or her mobile device or maybe you use the technology to pay for in-store purchases. That’s because fingerprint authentication – once the realm of science fiction and James Bond – is now a reality. This technology uses biometrics – in this case a fingerprint – to identify a unique characteristic about you that no one else can have. Like a snowflake, no two are alike—and that’s exactly what makes it so secure. Now biometric cards are being added to the payment mix. With these cards, you can use your thumbprint as an alternative to a PIN or signature at the same in-store chip or contactless terminals you use every day. Mastercard developed the biometric card, combining chip technology with fingerprints to conveniently and safely verify cardholder identity for in-store purchases. Introduced in 2017, the Mastercard biometric card has been piloted in Africa, Europe and the Middle East with additional countries being added this year. Here’s how it works: dip your card into the store payment terminal and place your thumb on the sensor area embedded in the card itself. Powered by the terminal, the sensor in the card scans your fingerprint and compares it with the stored digital images of the fingerprints. If the biometrics match, the transaction can then be approved—and the card has never left your grasp. Authenticating a payment transaction biometrically confirms in a very unique, simple way that the person using the card is the genuine cardholder. 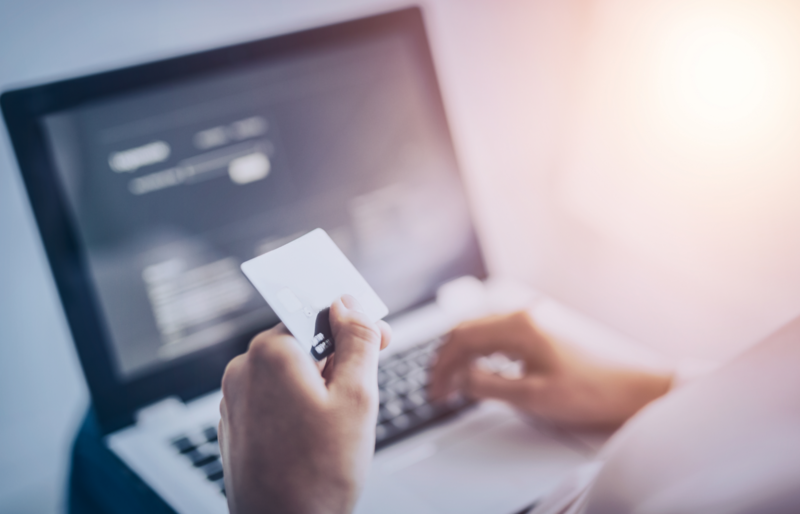 Retailers can easily maximize the shopping experience, as the card works with existing EMV card terminal infrastructure and does not require any new hardware or software upgrades. For banks, the technology helps detect and prevent fraud while potentially increasing approval rates. Are you still wondering if biometric cards are safe and secure? Rest assured. Your biometric data never leaves the card and is not shared with the retailer or bank. A picture of my fingerprint is on the card. A digital image is captured of your fingerprint, but the image is made up of a series of 1s and 0s and is not an actual picture. Your fingerprint cannot be reverse-engineered from this encrypted image. My biometric data is being stored all over the place and shared with everyone. The digital image of the fingerprint is stored on the chip itself. It never leaves the card and is never shared with the merchant. The card has a battery that will eventually die – then what will I do? The Mastercard biometric card has been designed to draw power from the terminal itself and does not require a battery. I’m a merchant and do not want to change my terminals again, so I won’t be able to accept the Mastercard biometric card. The Mastercard biometric card does not require any changes to current EMV terminals. For cardholders, that also means it’s accepted at any and all of the tens of millions of locations where Mastercard is accepted. If my hands are sticky or sweaty, the card won’t be able to get a biometric match so my card will be declined. If for some reason the biometric match fails or cannot be attempted, the card will switch to accepting either your PIN or signature to complete the transaction. If my card gets lost or stolen, someone could hack into it to make purchases. Our cardholders have peace of mind knowing that payment security is in the DNA of our brand-so of course all our products are designed with security top of mind. We’re always looking at the most advanced technology to enhance the security of our products and services.The value of the biometric card is that it combines chip technology with a piece of who you are, building an additional layer of security with something that is not knowledge based. If your card is lost or stolen, you would report it as you normally would, and the same procedures and practices apply, including zero liability protection. The account is deactivated, and the fingerprint template is no longer useful (because a match would no longer work). This card doesn’t work at ATMs. The Mastercard biometric card can be used at ATMs globally via PIN. I have heard that hackers can fool fingerprint sensors by transposing fingerprints onto silicon or other materials. Can this be done with the biometric card? It is not easy to place a “fake” fingerprint onto the fingerprint sensor. Imagine the access and effort that would go into it! Plus, since the cards will be used in a card present environment the store clerk will be able to notice any potential criminal activity. Can I use the biometric card for contactless payments? Yes, we are working on a contactless solution to be ready in early 2019. Knowing these facts should help you feel confident about using biometric technology as an alternative to remembering a PIN or using your signature. It’s all about providing options that make life easier and more convenient, ultimately improving the shopping experience without compromising safety and security. Biometric card is still too expensive for the issuer. Has MC though about giving a financial “help” to issuers that want to issue biometric cards? Ohh I see… Indian Music Portal Agree With This. thanks for provising the best article. I agree with Ms Ruth Mendes, biometric card still expensive. Biometric technology is definitely an innovative alternative to PIN.